Well, these little gems are not only vegan but wheat & gluten-free too!!! Doughnuts are so popular at the moment so i wanted to make some myself. 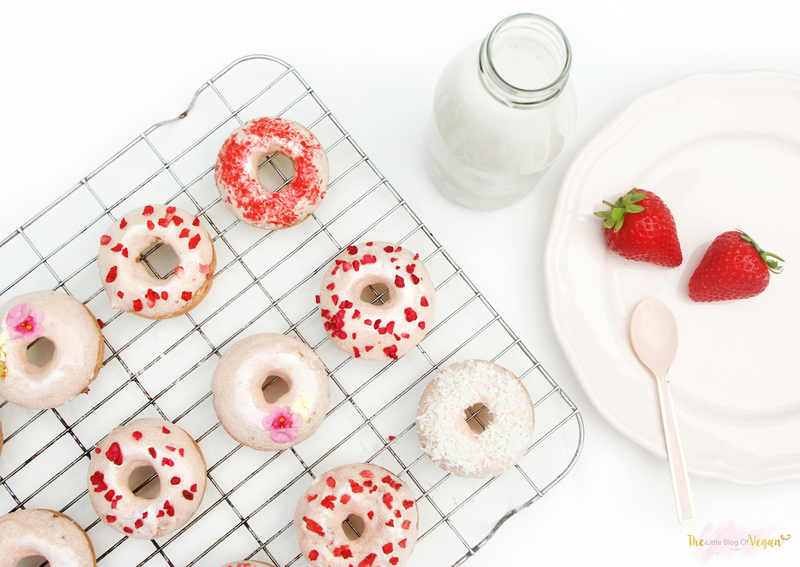 I love decorating desserts and what better oppotunity than to decorate these adorable little pink, strawberry & coconut doughnuts. 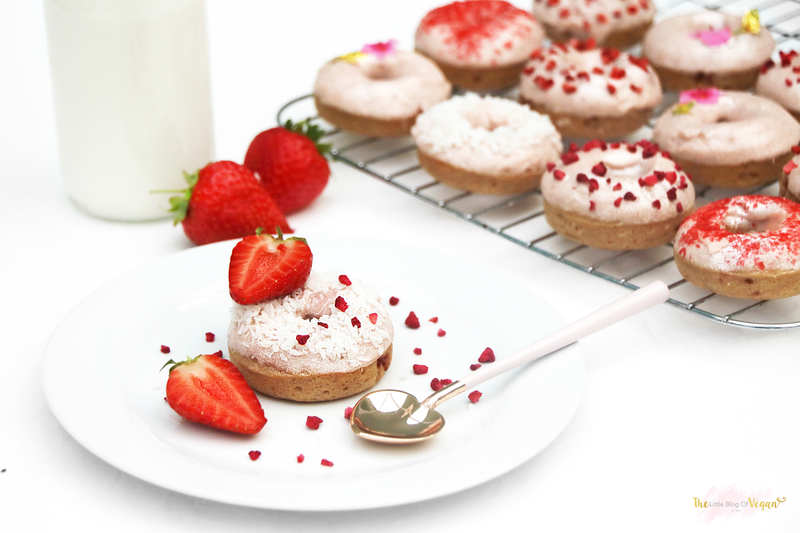 The flavours strawberry & coconut are one of the best pairings. 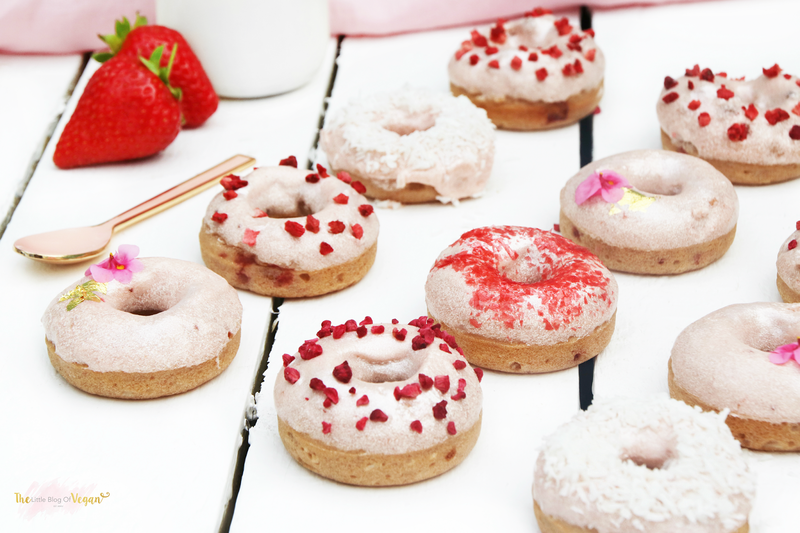 I wanted to incorporate real, fresh strawberries into the doughnut itself, whilst decorating them with desiccated coconut, freeze dried strawberries and raspberries which is a much healthier option than sugary sprinkles but look even better in my opinion! 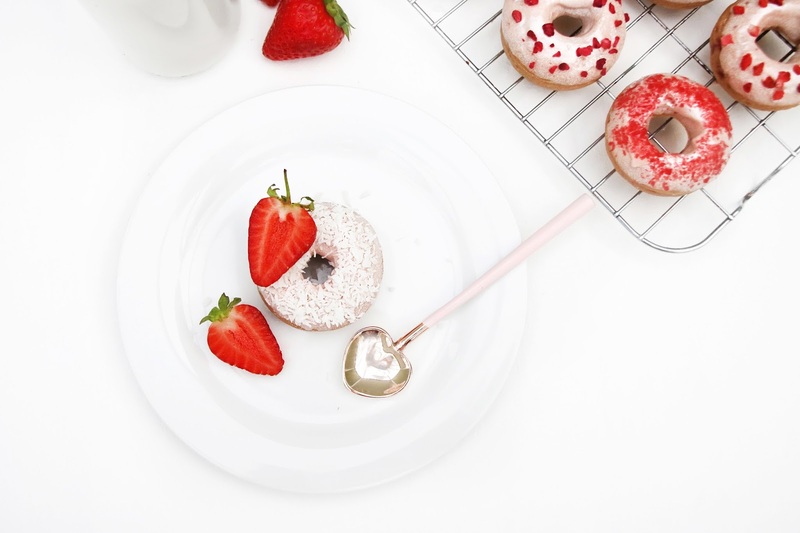 Although these delicious bitesized doughnuts contain sugar, they are considerably lower in sugar than your average doughnut and also contains natural fruit sugars for a fresh, juicy flavour. In this months 'The vegan kind' food box, i received 'VeganEgg' which is an egg replacer! Step 1- Pre-heat your oven to 170 degrees and lightly grease doughnut tins with oil. Step 2- In a large mixing bowl, combine the flour, baking powder, sugar, desiccated coconut, cinnamon and salt. 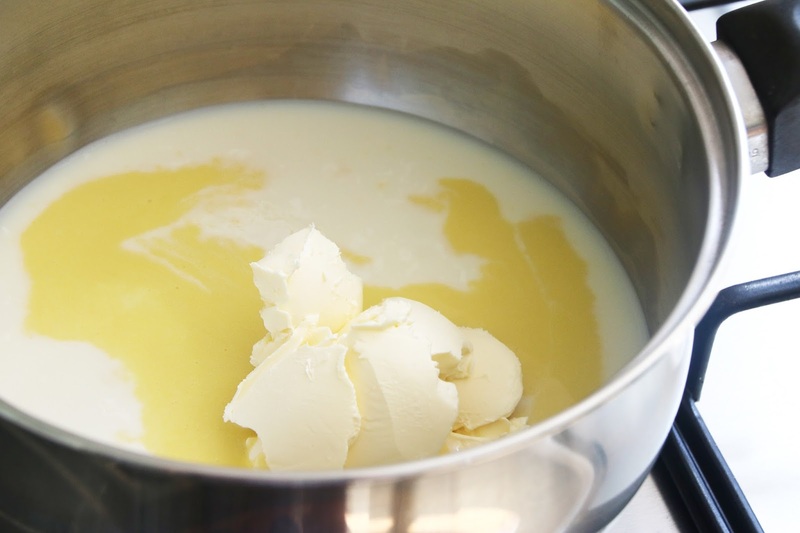 Step 3- Add the wet ingredients into a large sauce pan over a low heat and stir until the margarine has fully melted. 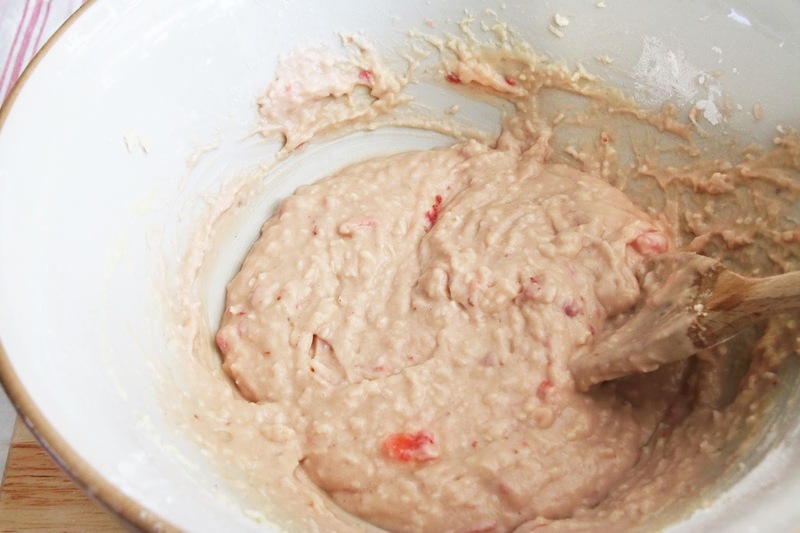 Step 4- Pour the wet mixture into the dry mixture and add in the chopped strawberries. 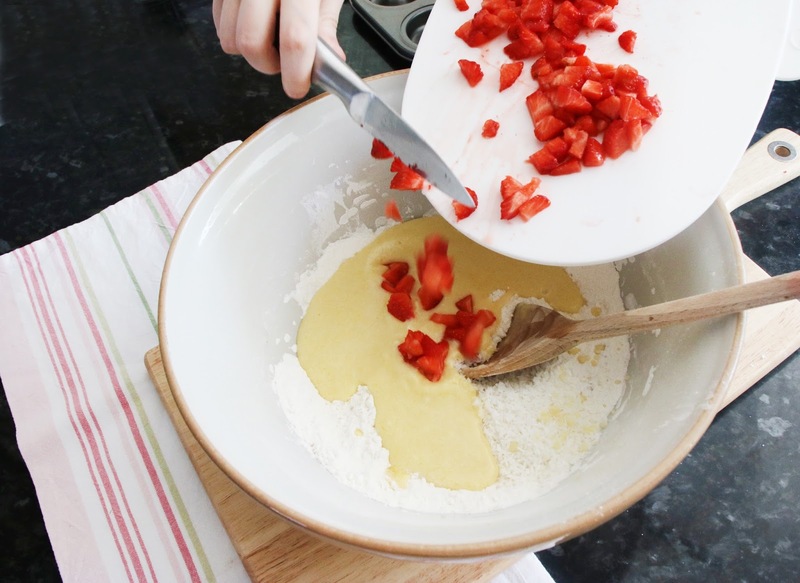 Mix until fully combined and dough like. Step 5- Add the mixture into a piping bag and pipe into the greased tin. 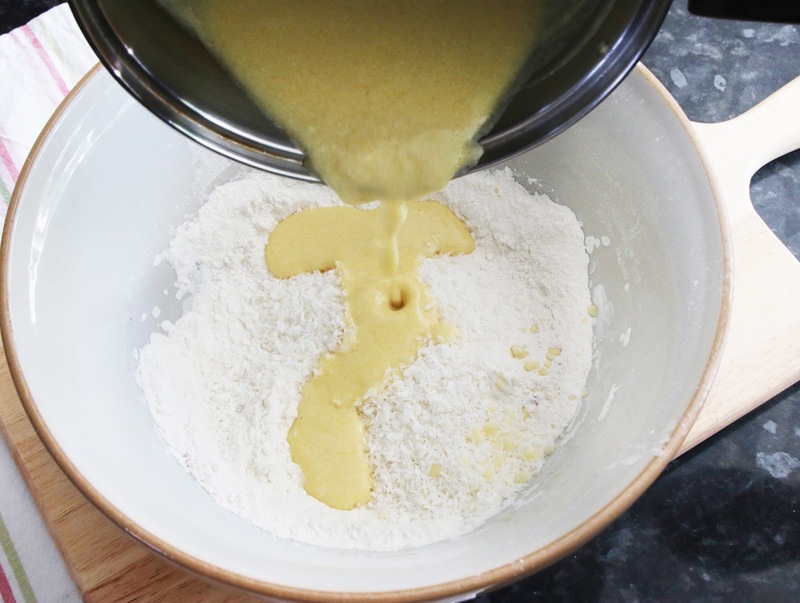 If you don't have a piping bag, you can spoon the mixture in. Step 6- Pop the trays into the pre-heated oven and bake for 10-12 minutes. I used my Thick & Creamy Frosting for a delicious & sweet addition. 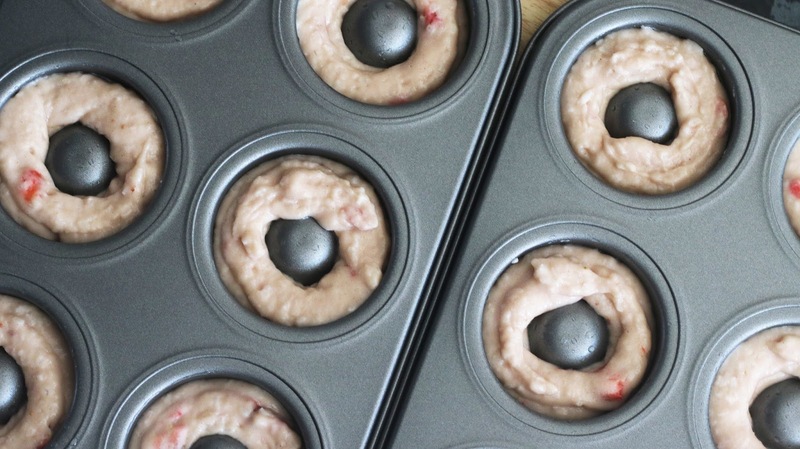 As i wanted the Frosting to be Strawberry flavoured & pink of course, i switched the Vanilla Extract with Strawberry flavouring & i also added in a dash of Pink Food Colouring and natural, low sugar strawberry jam! 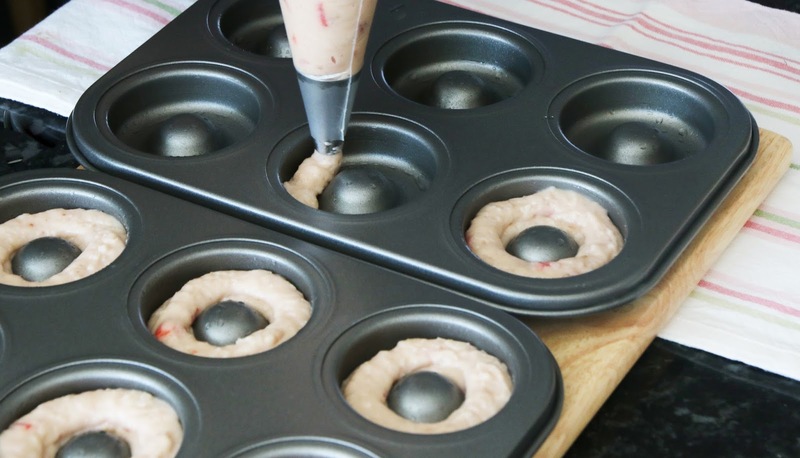 Dip the doughnuts into the icing and place back onto the baking tray. 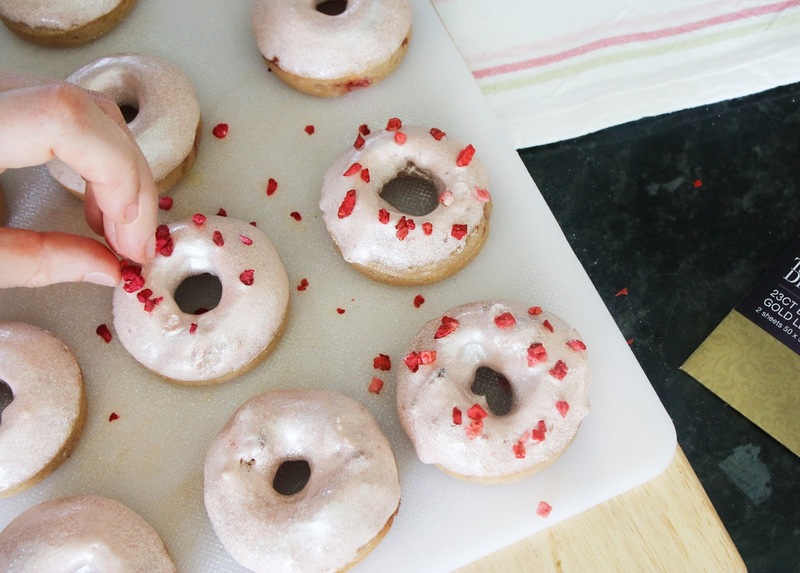 Repeat for all doughnuts & decorate with freeze dried strawberries, raspberries, desiccated coconut, sparkle dust & gold leaf(optional) for an extra special look, then pop them back into the fridge to set.